The Novotny Literary Agency was created to bridge the relationship between promising Authors, successful Publishers, knowledgeable and inspired Booksellers and, most especially, Readers. The publishing world has battled gallantly these past 20 plus years and it is our belief the freedom and integrity of the book business will be best served by those closest to the Reader — the Bookseller. Alexander Novotny was raised and worked at the Book House of Stuyvesant Plaza (Albany) and Market Block Books (Troy) until he decided he decided to go to law school. After passing the NYS Bar he settled in Los Angeles for two years and spent time at a literary agency in Hollywood. 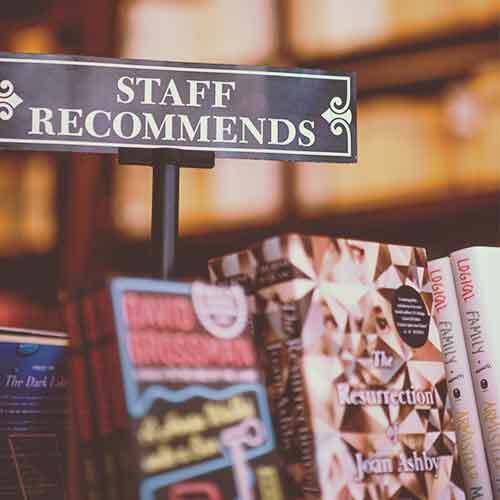 The proximity to the publishers’ reps and the torrent of advance review copies puts the independent bookseller in a unique position to discover the jewels of the trade. Put simply, what if several voracious booksellers read and vetted a manuscript even before it went to the publisher? If your manuscript or proposal holds up to this objective scrutiny then there is a place for you and we are on our way.